Planting seeds and watching them grow into flowers and vegetables is the cheapest and best way to grow a garden. Seeds are far cheaper than potted plants and bedding and easier to get so you can create a much larger garden. Growing from seeds gives you a far greater variety of plants to choose from. Many fruits, vegetables and flowers are only available as seeds. There are other benefits to growing from seed. Many gardeners believe that plants grown from seed are healthier and bigger than transplanted vegetation. You also have the fun of watching what you plant grow to full size when you use seeds. Planting seeds and watching them grow into plants can give your children an appreciation of nature. The best way to ensure that your seeds grow into the vegetables and flowers you want is to first plant them into trays and mini pots. Fill the trays and mini pots with sterilized potting soil to protect the seedlings from fungus and disease. A fungicide like No-damp can also protect your seedlings. Plant the seeds four to eight weeks before the last frost if you plan to put them outside depending on the plant. Put the seedlings in a sunny spot so they’ll grow and water well. Move the plants to larger pots when the seedlings are a few inches tall. Start taking the seedlings outside for a few hours in the day to acclimate them to the outdoors. Don’t leave them out over night until your certain there won’t be a frost. Get the soil ready for the seedlings by tilling it by hand or using a Roto tiller. Tilling early can cause weeds to come up fast so you can pull them out before planting. Plant the seedlings in the garden once the risk of frost is gone. A transplanting fertilizer can make the process easier and the plants healthier. Once the seedlings are in the ground they’ll have to be watered and fertilized like any other plants. 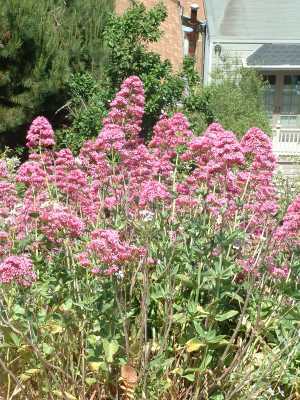 A great way to save money is to plant perennials which will grow again next year saving you the trouble of replanting. Another penny pinching tip is to try harvesting seeds from your plants and planting them next year. If you do this dry the seeds, slowly and store them in a cool dry place in the winter. This may not work with hybrid and genetically engineered seeds which are designed to be used once. You can also save a few bucks by storing the seeds you used last year for use next season.